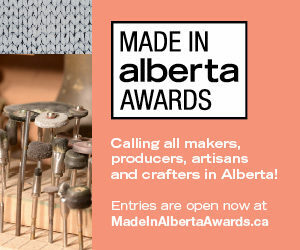 When David Farran and Larry Kerwin founded Alberta’s first craft distillery, it was with an intense focus on using local ingredients to produce small, carefully crafted batches of high quality spirits. Now, each fall, Eau Claire Distillery invites the public to come participate in the barley harvest, giving everyone the opportunity to see their grain-to-glass philosophy in action. 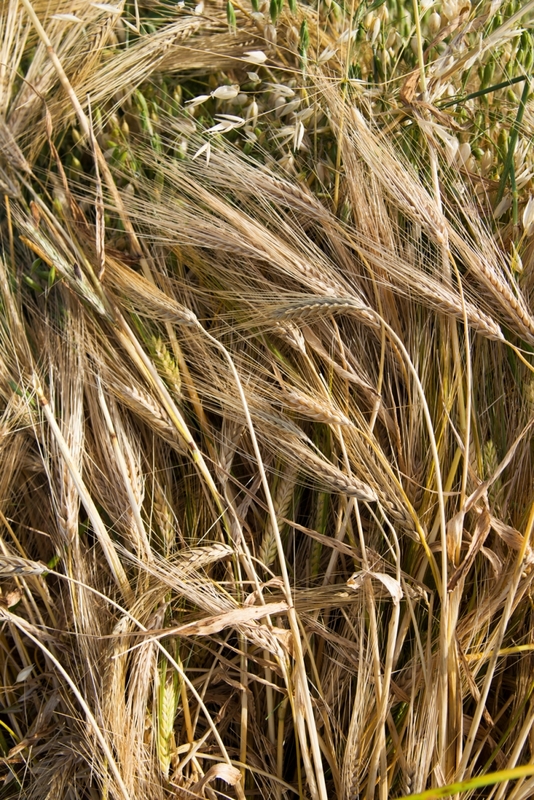 The first day took place September 17 this year and was harvest day, which includes binding and stooking the barley. The second is coming up on October 1 and is the threshing day when grain is separated from the straw. See the Eau Claire Distillery website for all the details on what the experience of being a farmer for a day will be like and to RSVP. 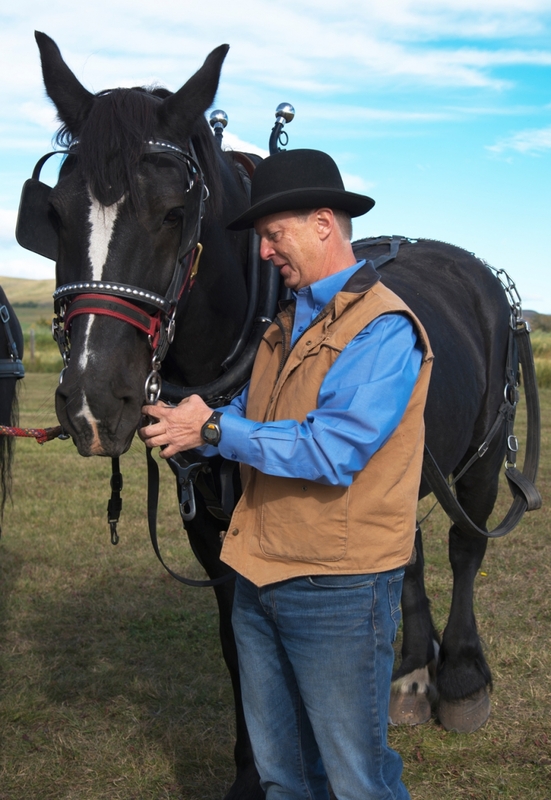 In a partnership with the Bar U National Historic Site, Eau Claire Distillery grows “horse-powered barley” on 15 acres of land at the ranch and historic site. Here, Hank, Pete, Shelley and Nelly pull a traditional binder, which cuts and binds bundles of barley. 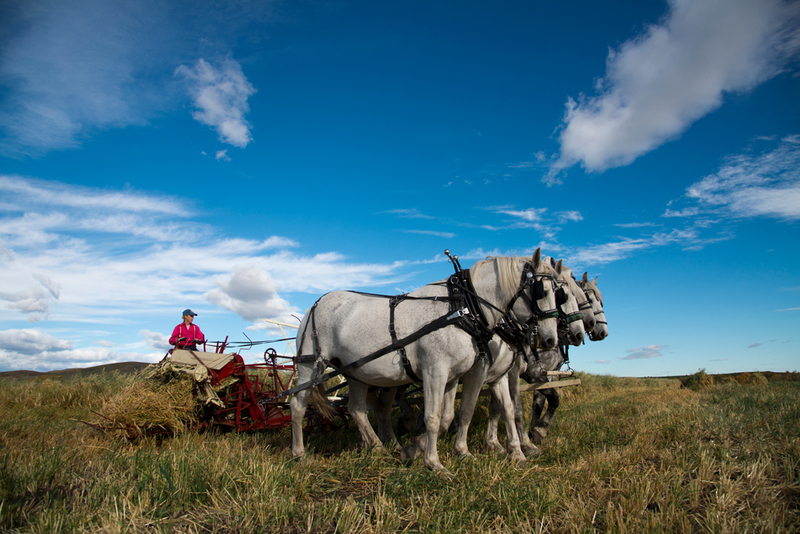 The land is plowed, planted and harvested using horsepower and traditional machinery, and since no pesticides or herbicides are applied, there is some wild oats mixed in with the barley. This will be separated out later. Owner David Farran gets his team of horses ready to take a turn pulling the binder. He and his crew are wearing bowler hats as a nod to the traditional headwear of the binding and threshing teams of the 1920s and 30s. 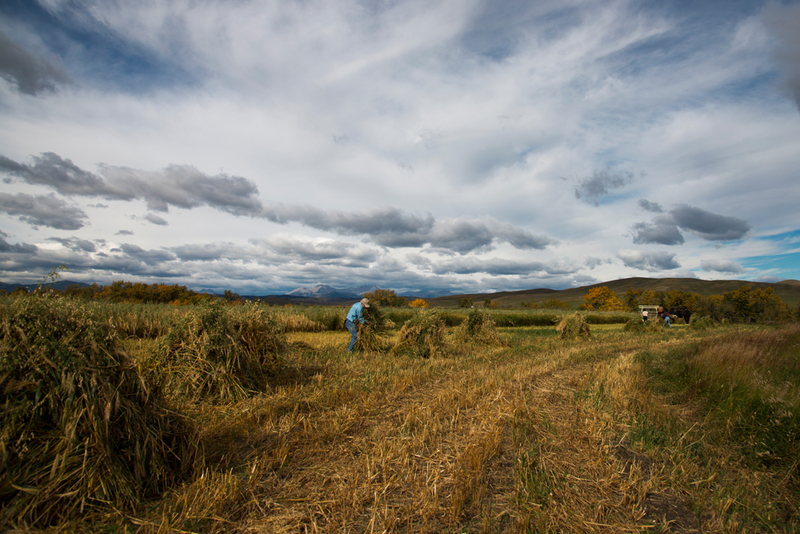 Once the binder has cut and bundled the grain, it is gathered and piled in stooks. It will be left in stooks to dry until threshing day, which will take place October 1 this year, weather permitting. 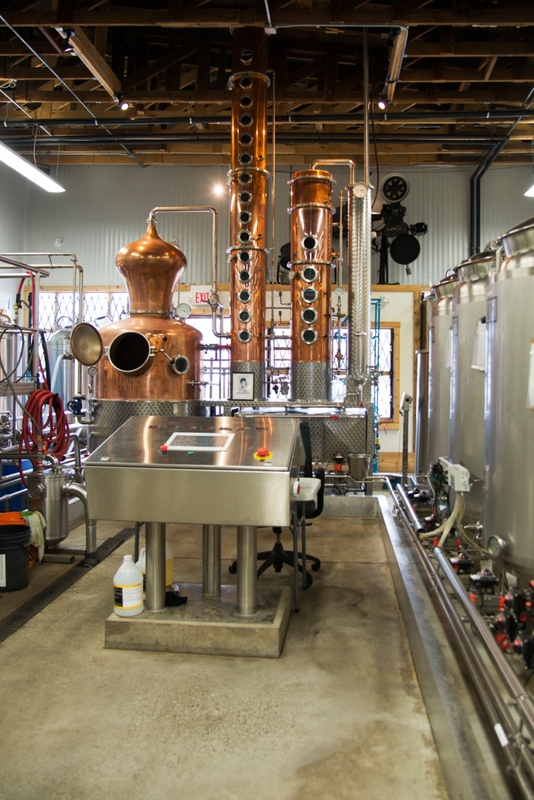 Whether or not you take part in the harvest, you can always visit the Eau Claire Distillery and tasting room in Turner Valley for tours and tastings. Get a primer on the entire production process, right up to the hand bottling and labeling. The distillery is in the former Turner Valley Movie Theatre and Dance Hall (see the original projector up high behind the copper still). The tour wraps up with a visit to a room full of casks. Here Eau Claire Distillery is aging its first attempt at a single malt whisky – an experiment still in progress, with the eagerly awaited first results expected in 2017. Eau Claire’s current products include its Three Point Vodka, Parlour Gin (infused with a variety of prairie botanicals), and Prickly Pear EquineOx (a barley-based spirit made with prickly-pear cactus pulp and citrus rind). It also produces limited edition seasonal spirits; the current offering is a barrel-aged apple brandy. 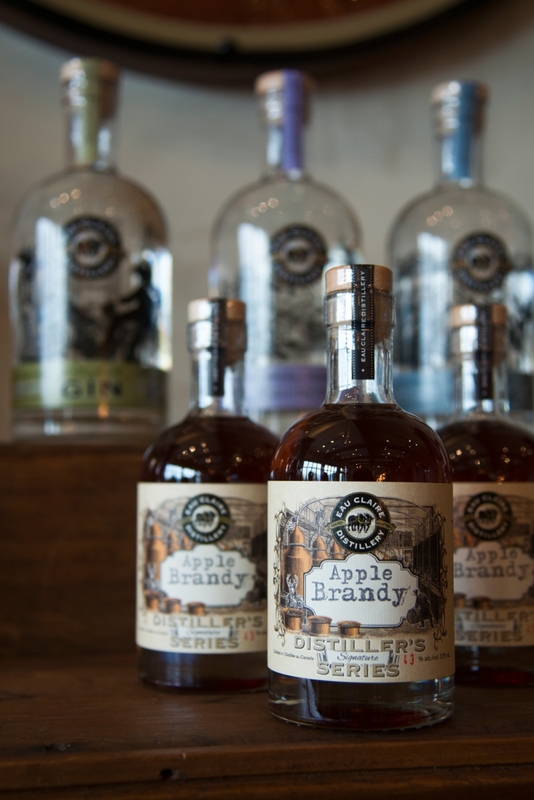 After your tour of the distillery, you can also do a tasting, have some snacks, or try a cocktail in the tasting room. 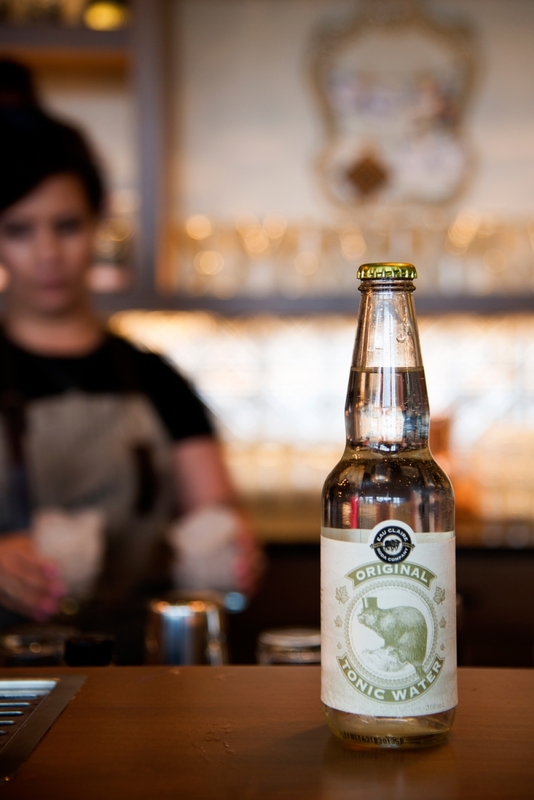 Eau Claire has also just rolled out its own house-made tonic water, for now only available at the tasting room. 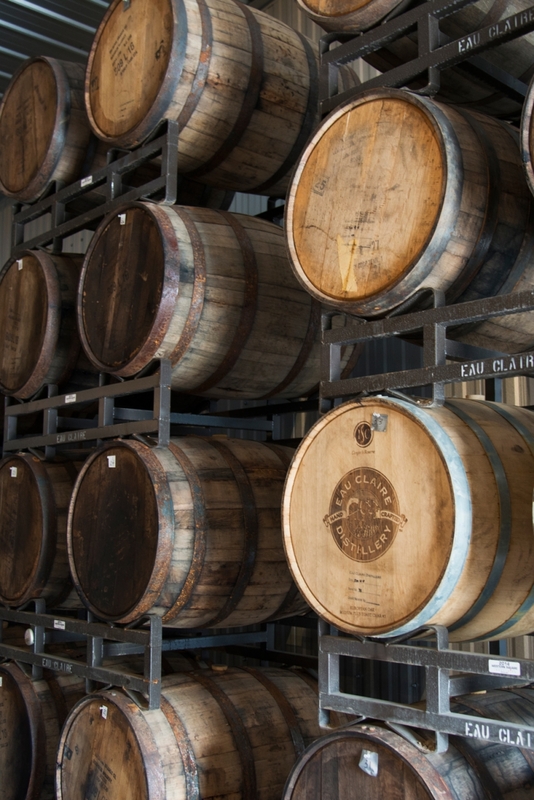 For tour and tasting details and pricing, see the Eau Claire Distillery website.